Reports little effect on sales, the Japan's Ministry of the Environment has released the results of an experiment on the use of returnable plastic bottles. 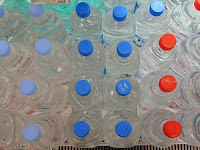 Japan for Sustainability reports that the experiment involved a deposit system to sell mineral water in returnable plastic bottles and collect the used bottles, both in shops and by home delivery. Of the 2,733 returnable bottles sold in shops or by home delivery, 2,148 bottles were returned to distributors, representing an average rate of collection of 78.59%. The collection rate for sales in shops was 50.63%, while that for home delivery sales was 95.37%. With regard to sales in shops, higher return rates were achieved as the collection period increased. According to the survey, raising awareness of the reduction of environmental burden by promoting reuse can encourage the purchase of reused bottles. On the other hand, although the bottles were affixed a sticker on their second use specifying that they were reused, awareness of environmental burden was not apparently affected. The deposit system for the bottles also had little effect on sales. It was concluded that the carbon dioxide (CO2) emissions under the home delivery system were lower, and that the collection rate was higher when compared with sales in shops. It was also suggested that the CO2 emissions resulting from bottle reuse in limited areas are lower than those from bottle recycling, provided that the collection rate is more than 90 per cent. Photo from: takuhitosotome. Some Rights Reserved. Yes, this is really effective here in Australia - except for when the system breaks down over non-pick ups etc.